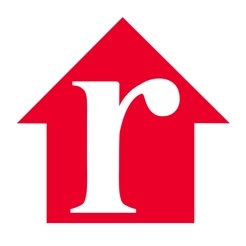 Realtor.com has the most homes for sale nationwide than any competing real estate app. Our award-winning Realtor.com app is the best homes for sale and rentals finder app to help you find the home of your dreams! Whether you’re looking to buy your first house, searching for a new home for your growing family or simply checking listings in your area, you’ll find the best list of homes tailored to your needs. From custom filters to 3D home tours, Realtor.com has the most robust home buying tools, all in one sleek and easy to use app. Realtor.com is always rolling out new features – check back often to see what new tools we have to help you find your next home! • Property details like price, sales history, property tax, schools and more! • Search homes by address, city, zip code or MLS ID! • Filter homes by age, square footage, amenities, 3D tours, “Just Sold” listings and more! • Sort listings by open house dates, price reductions, square footage and more! • Use image recognition to instantly see listing details and photos by taking a picture of a real estate sign! • iMessage reactions – Use reactions to communicate how you feel about a listing! • Hot Homes – Indicates which listings will sell quickly! We are continuously improving our app to give you the best home search experience! • Performance improvements and stability enhancements. Stay tuned for more exciting features coming soon. Love the app. Like stated in the title, I think the school ratings should go back to red yellow and green. Grading the different schools by different shades of green is “everyone gets a trophy” mentality. If the school is rated poor in the state then it should be put on blast so homebuyers who use your app can make an informed decision. I for one look at school system first and foremost (I have three kids starting school within the next few years), and the different shades of green can be misleading if not expected. For example, there is a search I have saved on the app that encompasses a great public school district and a horrible one. My friend bought a house in the horrible school district unknowingly. (Fortunately for him the school system is considered to be failing by the state and he receives free tuition and transport to a private school across town.) I’m not saying that he bought a house in a horrible school district because of the app (he should have done his research) but it could have been more easily red flagged. Hi SSJWhitey97, we appreciate your feedback and suggestions. We can see how changing the colors for school ratings would help you identify which schools have a better reputation. We'll be sure to add your suggestion to our list of potential enhancements. This has the best general layout and interface of any of the house hunter apps. Just wish a couple things were different. Information not on the website version is not here, and vice versa. Second, most annoyingly the map pins have TERRIBLE touch sensitivity. I try to select one pin on the map and it chooses a house not even close to what I selected. Try to select the pin again, and the displayed house jumps to another random pin I didn’t select. Try again, and it usually goes back to the first house, and back and forth. Just refuses to select and display the ACTUAL house I was selecting from the map. And finally, the map is slow to update listings after filtering. It will say X amount of houses met the filters, but then the map doesn’t display that. Have to zoom in and out of the map a few times to get it to update and display the correct listings. I do like the new green shading for schools. The previous colors made it seem like there were few good schools anywhere. I take school ratings with a grain of salt like that anyways. The accuracy of data in this app is awful. As a former Realtor, I know that the company called MLS (Multiple Listing Service) requires all Realtors to UPDATE all listings with current status (option, contingent, pending, etc.) within a certain time frame. Many Realtors do NOT do this, because they are “farming for Buyers.” When a Buyer is searching, there is absolutely no way to determine if a property is actually still available. If you are looking to relocate, the lack of timely reporting is frustrating. It is worthless to call every Realtor to find out if the property is still available. Also, when you have “viewed” a listing, there used to be the words “viewed” on the listing within this app. When you are looking at 20-30 properties in a county, it gets confusing to not be able to remember what you have previously looked at, and maybe bypassed for a reason. The “heart” ❤️ feature is nice,,but again...totally worthless when the listings is not updated to reflect proper status. If the data in this app is updated every 15 minutes, and actual property status is missing, then the Realtors are playing the system. Hi SuzyQDallas, we appreciate you updating your review. If there are any listings that you've seen that have the incorrect status, we'd like to look into them further. Please provide us with that information by contacting us here: realappfeedback@move.com.